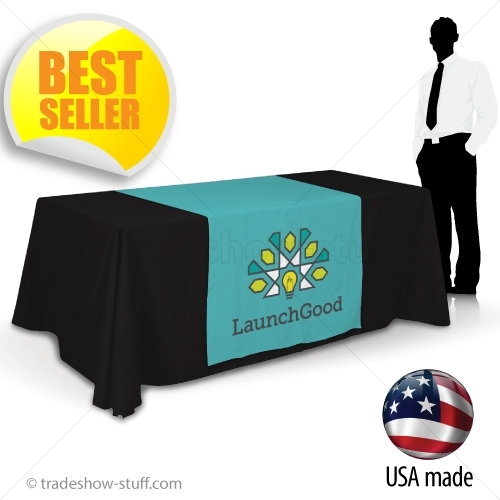 Your Logo or design custom printed on our premium Trade Show Table Runner fabric. Set yourself apart from the trade show crowd and add a professional touch to your display with a premium custom table runner printed with your logo or design. Our custom table runners are all printed in 3-business days with your full-color logo or your full-color designed to template artwork. 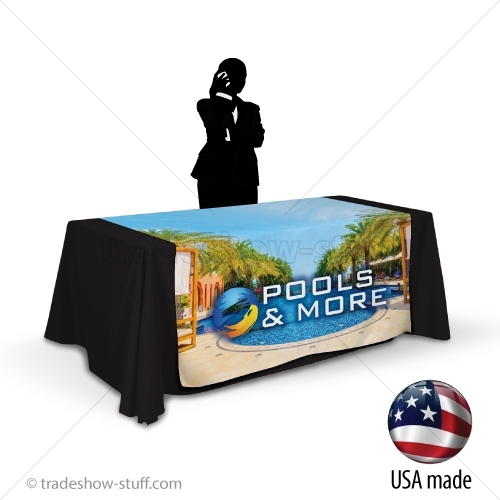 Made in the USA from flame resistant polyester fabric, our logo table runners are the perfect finishing touch for any indoor event: trade shows, lobbies, meetings and more! You need it when? Fast turnaround is standard on all our trade show table runners, 3-business days after we finalize your artwork approval. And for the times when fast just isn't fast enough, rush service is available so you can get your table runner on time and when you need it! 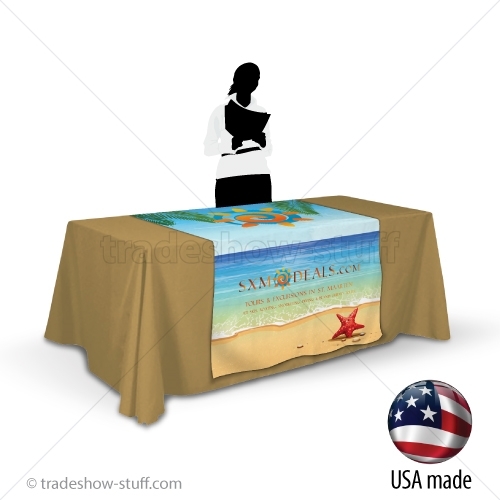 Dye-sublimation printed on polyester table runner fabric. Hemmed edges for a beautifully finished look. 6 different widths 24" to 60" wide and 2 different lengths (63" and 84") to choose from. 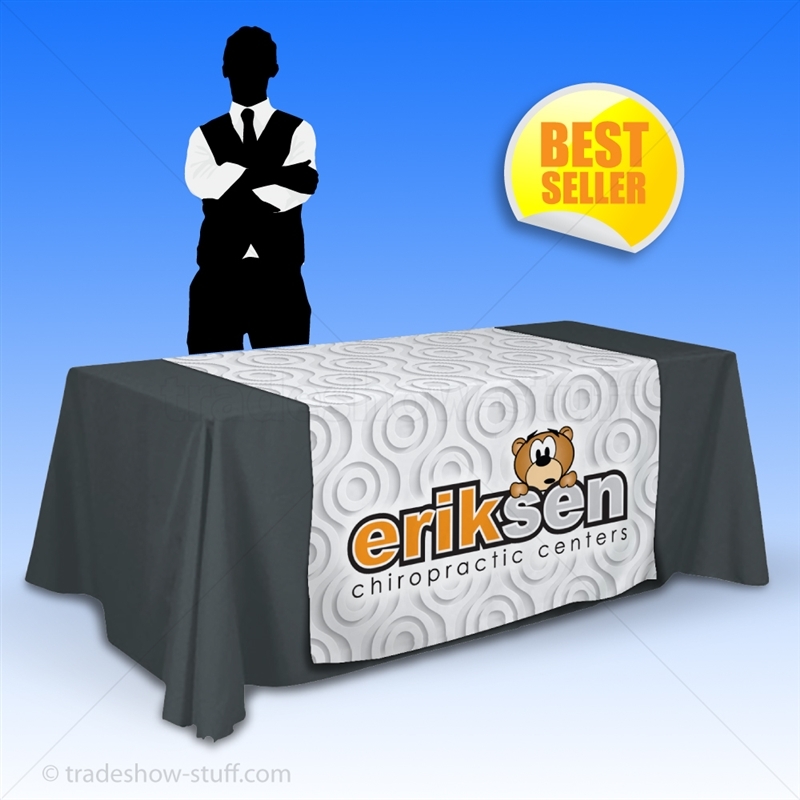 Logo Table Runners also available for use with 42” high tables. Visit our estore for pricing and ordering information.